Changing the game, one text at a time. 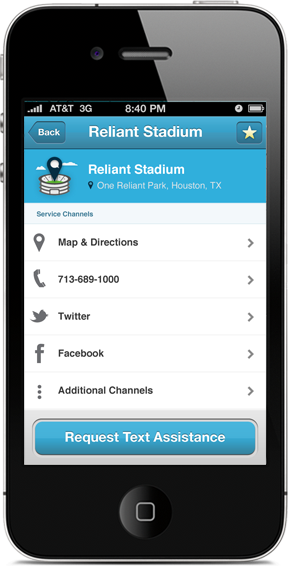 GuestAssist brings customer service right into your pocket, enabling you to start a text message conversation with stadiums and ballparks directly. 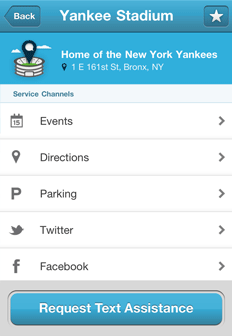 Whether you need parking information or the closest location of a concession stand, GuestAssist makes it simple and easy. Text assistance at your finger tips. Have a question, comment or concern? 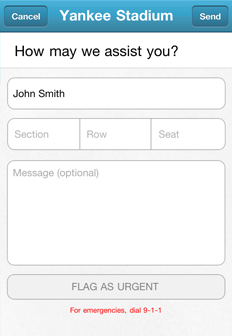 GuestAssist connects you with your location allowing you to chat with them via text. You the customer are in control throughout the whole game. In addition to text assistance, GuestAssist provides you with more help. 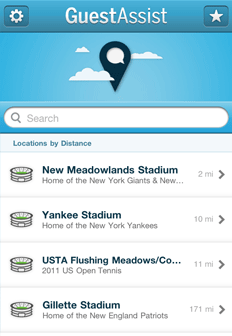 From directions to concession information, we have it covered. "Implementing the GuestAssist system is the biggest improvement we have made in game management in the 17 years that I have been here." Here are a few companies who care about their customers. They're also the reason why we made this app. Bridging service gaps and creating value. Customer service is no commodity. It is what separates a good experience from a great one. 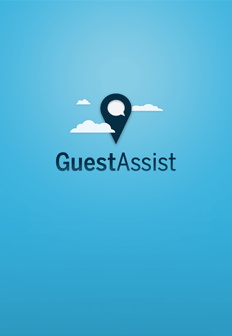 Visit GuestAssist.net to learn more about GuestAssist and how to elevate your guest experience. Apple, iPad, iPhone, iPod Touch, and iTunes are trademarks of Apple inc., registered in the U.S. and other countries App Store is a service mark of Apple inc.